Every mom deserves a little relaxation, and what could be more relaxing than a weekend getaway? Just in time for Mother's Day weekend, one of our favorite wine brands wants to make sure that one lucky mom is ringing in the holiday with style! The new Santa Margherita Sparkling Rosè wine will become available nationally beginning in May. In honor of the introduction of the refreshing new Santa Margherita Sparkling Rosè, Santa Margherita is hosting a fantastic Facebook contest. If lounging at a beautiful hotel in an exciting city, sipping on the new Santa Margherita Sparkling Rosè sounds up your alley, point your kids (or yourselves!) in the direction of Facebook! By simply telling Santa Margherita why their mom deserves a getaway, they'll be entering you for the chance to win a Las Vegas Mother's Day Weekend for two, including airfare, two nights at the Monte Carlo Resort & Casino and a memorable Mother's Day Brunch featuring HGTV star and entertaining expert Monica Pedersen. Other great prizes include bottles of wine, boxes of chocolates and copies of Monica Pedersen's new book, "Make it Beautiful." Encourage your kids to enter or log on to Facebook to enter on behalf of your own mother! 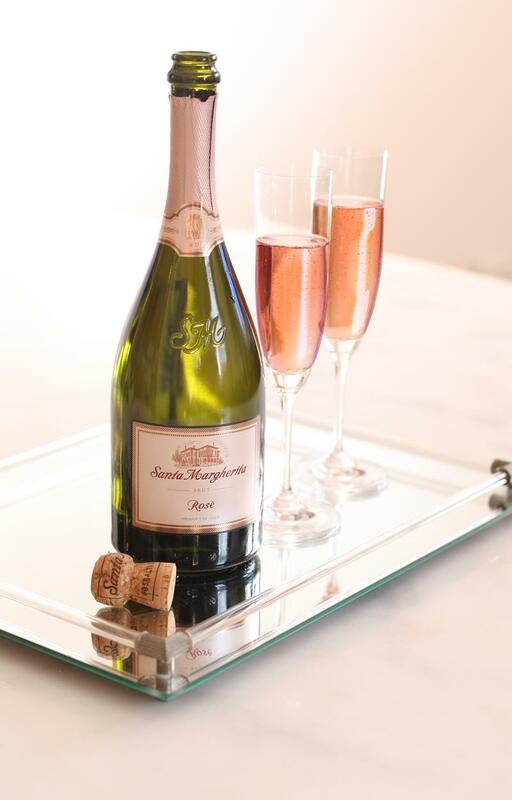 Because Italians' love of their mothers is internationally renowned, Mother's Day provides the perfect occasion for America's favorite Italian wine to introduce Americans to the delicious new Santa Margherita Sparkling Rosè. The Sparkling Rosè joins an acclaimed lineup of Santa Margherita wines that also includes Pinot Grigio, Prosecco and Chianti Classico Riserva. The #1 Imported Italian Wine crafted this beautiful, sparkling blend of Prosecco di Valdobbiadene, Chardonnay, and a hint of Malbec in the crisp, easy-drinking style for which Santa Margherita is renowned. What are you waiting for? Enter this special Mother's Day contest, today! Disclosure: I was entered for a chance to win a Santa Margherita prize package in exchange for this post. No monetary exchange took place.